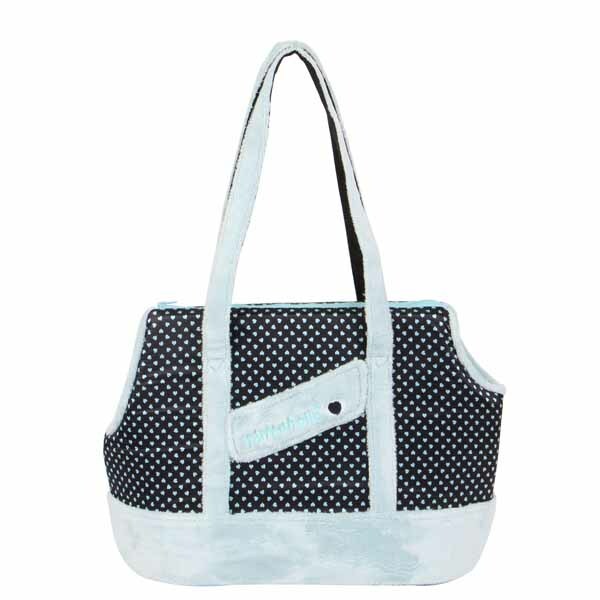 The Elfish Dog Carrier by Pinkaholic in Aqua boasts an eye-catching polka-dot pattern. You will love the simple and comfortable style of this fashionable dog carrier! The Elfish Dog Carrier by Pinkaholic in Aqua is the same darling design as the Elfish Dog harness, leash, and bed (each sold separately)! 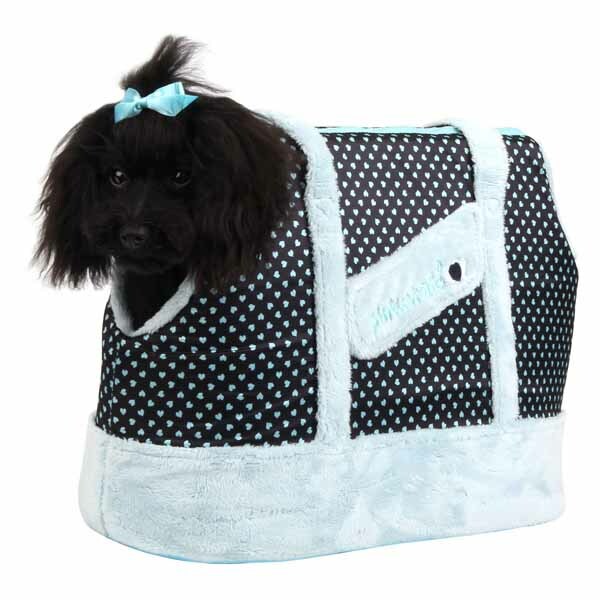 This "polka-hearted" dog carrier is comfy and durable, featuring a sturdy foam core, straps and pockets for storage of small items. The perfect way to carry pets on the go and add a fashionable style to any wardrobe! • Polka dot and heart pattern. • Carrier measures 15.4" Wide x 11.8" High x 7.5" Deep. • Holds pets weighing 7.5lbs.